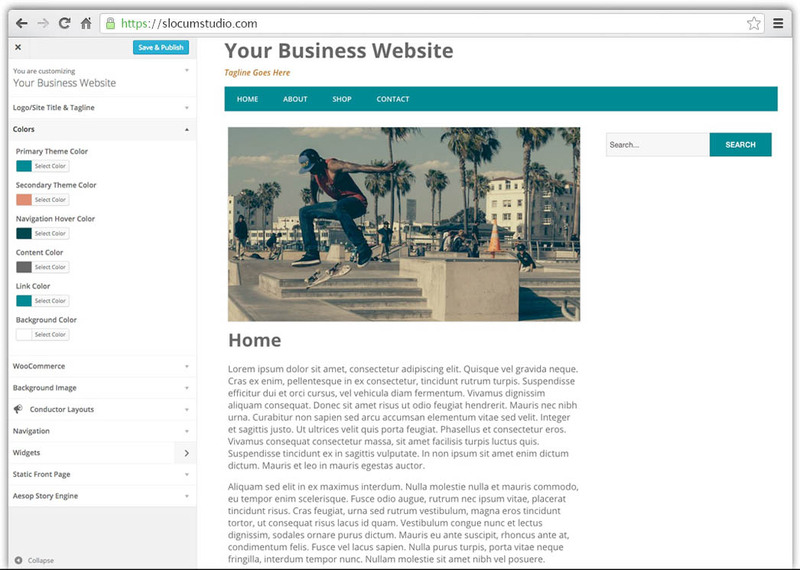 The fast, lightweight and responsive way to blog or start a new project. 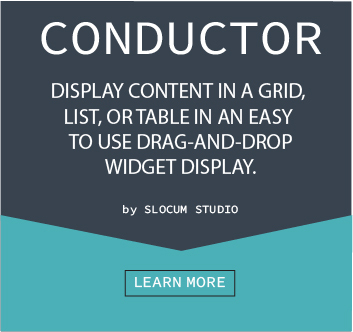 Conductor Promo Video from Slocum Studio on Vimeo. Need help building out your website? We can help! BusinessE-commerce or Membership siteI need a custom build! Tell us about your website. We'll make sure our hassle-free WordPress website setup packages are a good fit. 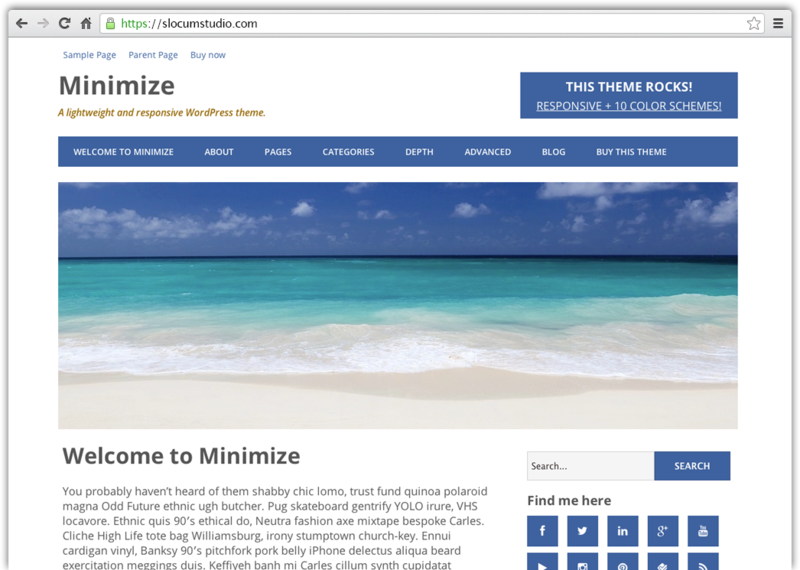 Minimize Pro is a clean and responsive WordPress theme with customization in mind. Before you spend your money, find out some of the many features you will get with your purchase. Additionally, you are also given numerous full color schemes to choose from, right from the Theme Options panel. With Minimize Pro, you can upload a logo as well as change the text of the copyright area. 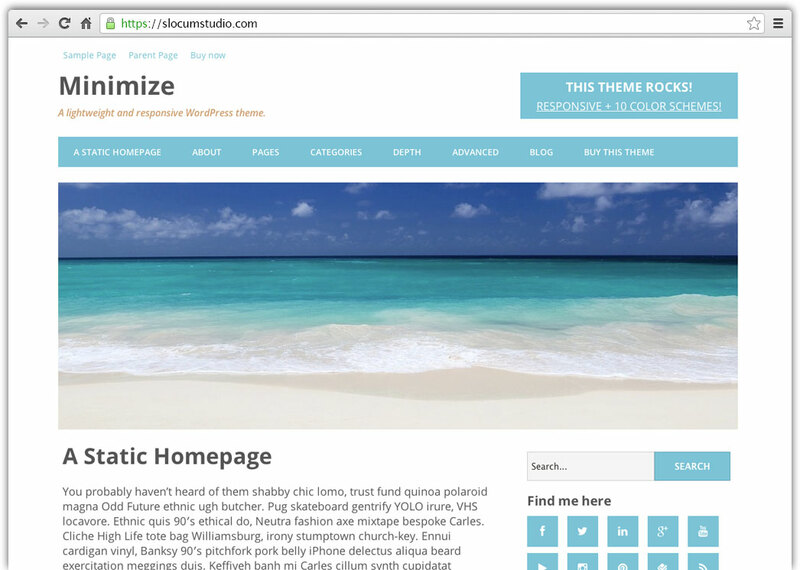 All of these elements are easy to find in our theme options panel. The logo will replace the business text on the top of the page, so your brand identity is the first element that people see. We our proud of our work and put our signature at the bottom of our themes. That being said, you may want to adjust what the copyright section says or change the link to go somewhere else. With the pro theme, you can do that by navigating to the Appearance > Theme Options > General tab. The following content is published on our Minimize demo site. Minimize Pro will allow you to build a homepage that you desire within minutes -- not days. Changing colors, font-sizes, and layout is a breeze in Minimize Pro. You don't have to be a developer. Minimize Pro uses our Slocum Framework at its core. This means it has flexible layout options. Minimize Pro is fully compatible with our Conductor plugin. As we add more features to Conductor, Minimize Pro receives the same benefits and unique content design displays we roll out. Minimize Pro really shines when you leverage the live-editing and custom layouts of our Note plugin for your homepage layout. Minimize Pro allows you to customize your WordPress website through the powerful front-end customizer. Featured image sizes are also easily adjustable. Pick from different options depending on the Pro theme you have downloaded and other featured image sizes provided by the plugins you have installed! Customer Support that is always ready to help you with our WordPress themes. Contact us now.